On the slopes of Monte Toro, in the centre of Menorca, we find the charming white-washed town of Mercadal, a pretty spot where time seems to have stood still. Surrounded by countryside and close to two natural harbours on the northern coast, Mercadal is an ideal area to acquire a holiday home or investment property and Lucas Fox offer a fabulous selection to choose from. Mercadal is a pretty white-washed town and a municipality of Menorca that is located at the geographic heart of the island, on the slopes of Monte Toro, the highest mountain, at the top of which there is a beautiful medieval tower with a church and probably the best views over the whole island. 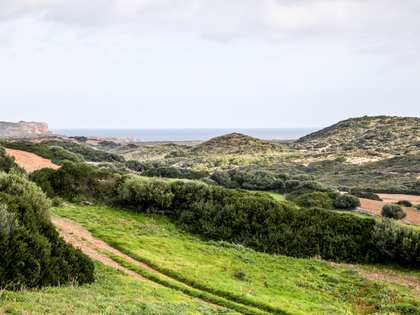 Mercadal is located at the east to west and north to south crossroads of Menorca, making it a strategic spot from which to explore the entire island as it benefits from superb road links. The charming town centre, with its winding streets, is brimming with café terraces and artisan shops selling the traditional locally made Avarcas sandals. This is a lovely, very laid-back place to take a stroll and enjoy a coffee in the sunshine. The name Mercadal comes from the town’s origin as a marketplace. Inhabitants from local villages would gather here to buy and sell produce as the area surrounding Mercadal is largely used for agriculture and livestock, meaning that picturesque country views abound in all directions and much of the land is protected. 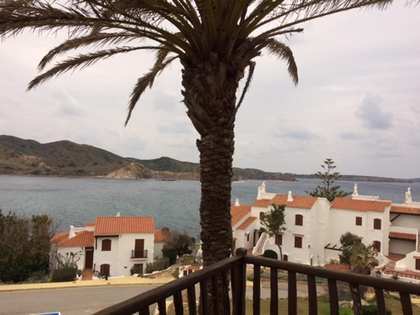 Places of interest in the Mercadal area include the Cavalleria Lighthouse and the beach by the same name, Cala Pregonda and Mongofre, one of the most beautiful virgin beaches in Menorca and which can only be accessed by sea. These precious spots are found on the northern coast, along with Fornells and Port d’Addaia. 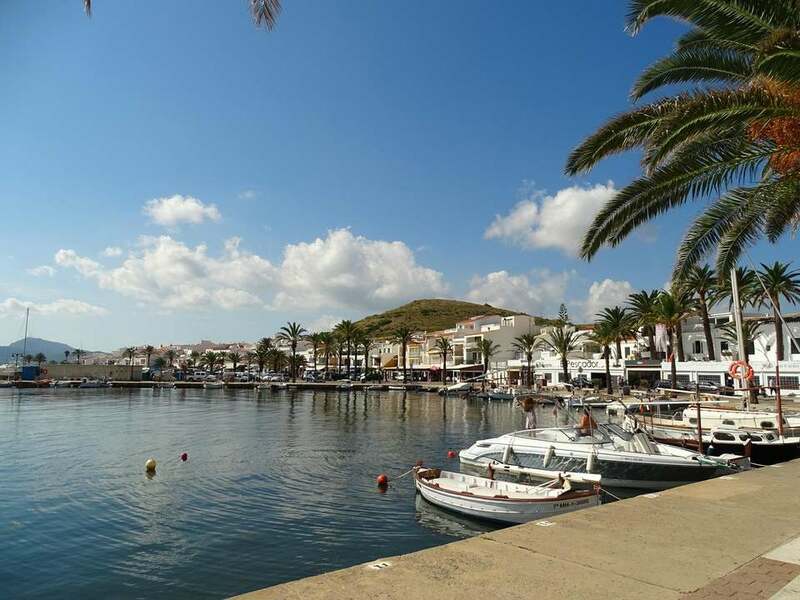 The wonderful bay and natural harbour of Fornells is well known and loved for its water sports and for being the point of departure for boat trips to explore the hidden coves of the northern coast. As may be expected in a fishing village, there are some excellent seafood restaurants in Fornells and the speciality is a delicious lobster stew. 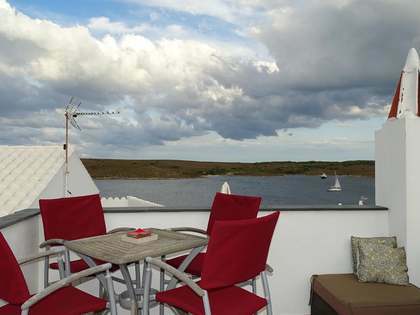 Lucas Fox offer a variety of prime real estate both for rent and sale in the Mercadal area of Menorca. In our property catalogue you will find typical Menorcan homes in the town centre, including renovated townhouses that are brimming with traditional charm and have been fitted with the latest home comforts and luxury contemporary finishes, combining authentic appeal with modern comfort for the most discerning client. We also offer apartments with sea views, luxurious free-standing villas with private gardens and swimming pools and rustic properties with generous plots and a great degree of tranquillity and privacy. 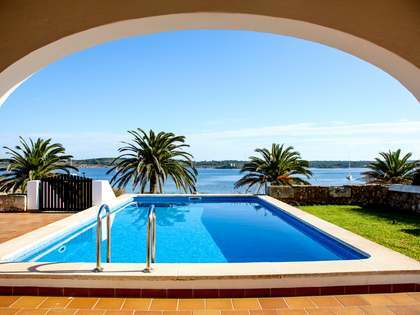 We have beautiful properties in the highly sought-after areas of Fornells and Port d’Addaia. Also on the north coast is Arenal d’en Castell with its long sandy beach and a number of hotels and holiday properties. 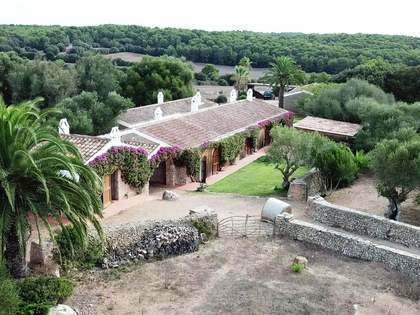 Other popular places for real estate purchase include Son Parc with its golf course, Ses Vinyes and Punta Grossa. Take advantage of our extensive experience and in-depth knowledge of the local real estate market and explore our portfolio of high-end properties for sale and rent in Mercadal.